I've been around computers for a long time - longer than some of you have been born. And a lot of that time has been spent dealing with (helping?) users. Today I was reminded that even though computers and technology change, people stay pretty much the same. I rang a school book company regarding an e-code that wasn't working and which we needed a replacement for. Lady: "Can I have your email address so I can send you the code"
Me: "Sure, my email address is Julie underscore "
and I hear her say quietly "J U L I E U N D E R S C O R E "
Me: "no Julie and the little black line in email addresses, the underscore "
Her: "ah the little black line"
and then I finished off my email address. She then said, "Let me read that back to you to make sure I've got it correctly, Julie the little black line underscore ..."
Me: "Um, no. The little black line in email addresses is called an underscore." Me: "Yes, it's not part of my name"
Now the reason I found this rather odd is that by now, I would have thought that pretty much anyone who works with customer orders via emails would know what an underscore is. But it does remind me of a similar experience I had in the dim dark past of DOS. I was talking a user through doing something in DOS, and as part of the conversation I said type "Star dot Star" (meaning *. *, I had given up calling them asterisks by that stage of helpdesk work). And again I hear in the back ground "S T A R D O T S T A R"). Simple really: "Report they're broken" .. In the last couple of weeks I've had both my work computer play up (half the keyboard stopped working) and my phone (no sounds for a couple of days - even with volume turned up; then it continually making noise even with all sounds turned off; and then the screen going black and staying black making it impossible to hang up on calls or press numbers on automated call systems). So what did I do? I FINALLY decided to log a service issue with work's IPT team (finally, as they're on the other side of the country and their normal response to any issue is to do a reinstall or factory reset - neither of which I wanted to do). BUT there comes a time when the piece of technology is either thrown out the window or you bite the bullet and talk to IPT. So anyway, I logged a service report on both the phone and the computer and guess what - they're now both working perfectly. So now I have a dilemma - do I tell IPT they're working perfectly or not???? A good friend of mine reminded me recently that I have a blog and was wondering if I was ever going to use it again. And I decided that I should, but in doing this, I asked myself why I hadn't blogged for over a year and its basically because I have found Facebook easier. However, Facebook has one serious drawback and that is it's not searchable (well it is, but it's painful to search), where as if I'm looking for something I've blogged (which I do regularly), it's so much easier to find. SO .. back to blogging. I last wrote in my blog on the 31 Dec, 2013. That's 12 months ago. The last 12 months have been, on the whole, great. Both girls settled into their new schools well, made lots of friends and did really well academically. 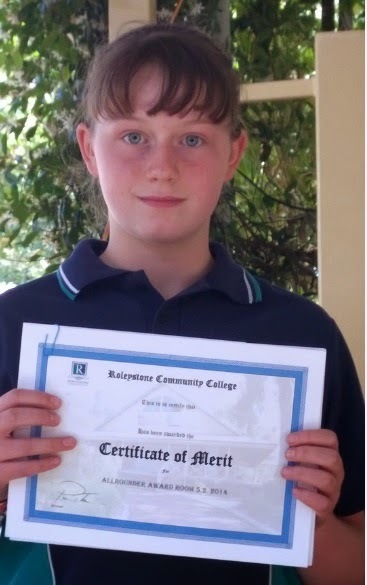 Miss 11 was awarded her class' All Rounder award (and received a $30 gift voucher) and Miss 13 received her year's Japanese, Maths, Woodworking and Music awards, in addition to the Principle's award and the Community Service award, these came with gift cards to the value of $60. We ended up redeeming the gift cards a couple of days back, Miss 11 bought a very nice Dr Who book and Miss 13 used the cards towards a smartphone. Miss 11 will be starting her last year of Primary School tomorrow and Miss 13 will be starting her second year of High School on Tuesday. She is really happy that she now gets to choose her electives and she will be doing Specialist Music, Japanese, Textile Crafts and Woodwork. 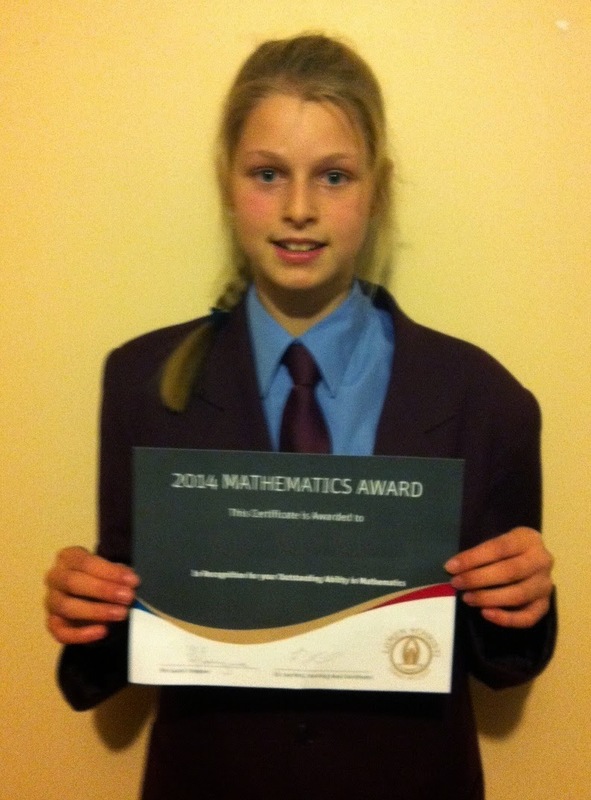 She will also be in the Advanced Maths class (which she is REALLY looking forward to). The challenge this coming year will be to help Miss 11 get into the High School of her choice. She wants to join the Specialist Agricultural Course at a not-so-local High School. This involves an application and panel interview. I'm not sure of the exact dates yet, but will call the school in a few days to find out the process. In addition to school, Miss 11 is still horse mad and this year will start Pony Club, she also wants to join the Fire Cadets and carry on with her squash and also do music lessons. (So busy year for her). Miss 13 will continue with Fire Cadets and the Cello and hopes again to join the school band and choir again. She will also do Fire Running later in the year. Over the summer break both girls did swimming lessons and Miss 11 has now finished level 13 and Miss 13 was awarded the Bronze Medallion (level 16). I'm still working for the same company and enjoying it. I will have been there three years in March - wow, doesn't seem that long. Hubby is also still working for the same company, coming up on a three year anniversary too. One of the highlights of the last year was the SHOT Show. This is the first time we've had a gun show in Western Australia and it was a great day out (well two days). As a result of the show we bought two new guns in the last year but not fired them yet L Unfortunately, the air pistol's front sight was missing when we got it, so I'm waiting for a replacement to arrive before taking it to the range.